You’ve decided that your kitchen and bathrooms are ready to be revitalized. You have an idea of the style and colour for your kitchen or bathroom and now you’re ready to begin your shopping. What are the key things, that an informed shopper must be prepared with, to make their buying a smooth experience? We’re going to presume that you’ve done your homework, surfing the web, and found the right material for your home project, from the low maintenance and inexpensive laminates to the high-end granite, quartz and marble stones. Let’s assume that you think, quartz, best fits your needs because it looks like natural stone without the deficiencies found in granite or marble. Quartz products are brilliant for busy individuals who do not have time to worry about spills and other messes on the countertop. Unlike its granite counterpart, quartz never needs sealing and almost any household cleaner is appropriate for wiping down stains. Granite is best suited for individuals that consider their countertop a kind of home "show piece". Considered a high maintenance surface, spills must be wiped up right away and a granite cleaner is recommended for daily upkeep. Through research, you’ve become acquainted with well-known brands like Viatera, Caesarstone and Silestone, for quartz countertops, and that prices may vary between $80 and $150 per square foot, depending on the quality and detail work. The first thing you notice is that prices are based on square footage. This means you must know the “square footage” of your project in order to get an accurate read of the estimates against your budget. In fact, you may want to make sure your linear footage measurements are converted into inches when you shop around for your estimates. A good idea would be to diagram your countertops with the exact dimensions to help eliminate the guess work in getting your estimates done quickly and accurately. When shopping around, another good idea would be to bring with you flooring samples, paint chips or cabinet colour to help select a countertop that works with your decor. By narrowing your countertop colour selection, your kitchen and bathroom dealer/designer will be able give a more accurate cost for the job you have in mind. 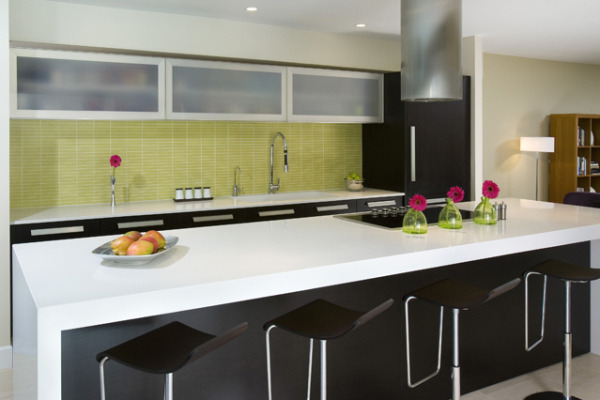 Also, consider the material thickness of the countertop design for your home project. Prevailing industry standards had granite and quartz countertops made to be ¾” in thickness. It then follows, to make the ¾” thick countertop edge to be laminated to have a 1 ½” edge profile. Why this size of edge? This size was perfect for framed cabinets since that thickness edge can cover the gap between the top of the cabinet and the cabinet door. Even as cabinets became frameless, the 1 ½” edging is still considered a popular size. The trends, over the last few years, had thick counter tops made with 2” to 3” mitred edgings. The "waterfall" style edge, gives a dramatic look, by flowing down the side of the cabinets to the floor to create a thick side panel. 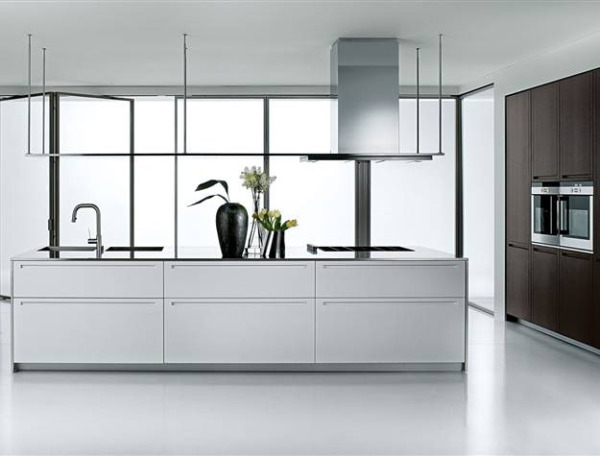 As you shop, you may become overwhelmed with the various options available for your counter top. By having the basics, the countertop measurements, your home decor samples and diagrams of kitchen or bathroom lay-out; you’re better equipped to deal with the leg work of getting an estimate done a lot easier and quicker. 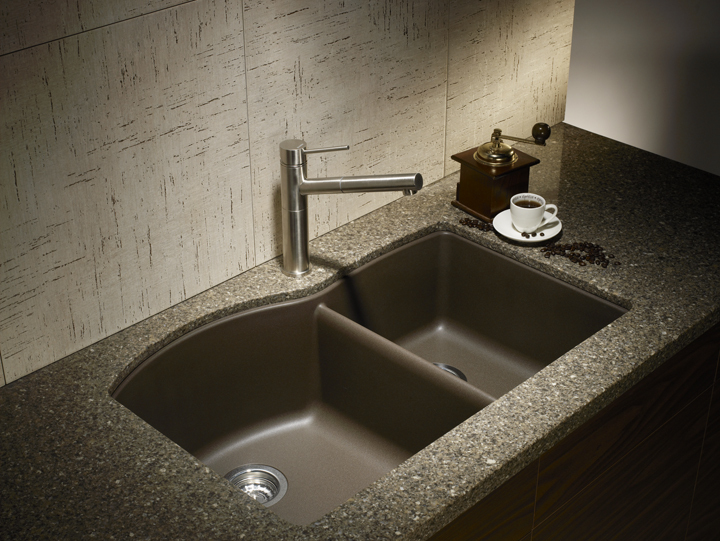 You’ve planned for new counter tops but have you thought about adding a new sink to the kitchen or bathroom design? Sinks not only accents the new look of your kitchen but it happens to be a focal point for your day-to-day activity at home. Initially, you may struggle with the decision to do it all at once, but consider the savings on the extra time and costs, by not having to search for a new sink and then finding a plumber to install your afterthought. Some of the popular brand names include Blanco, Kindred and Kohler. You’ve completed the leg work of getting your estimates and now you’re ready to choose the countertop company who will make your project a reality. By and large, you can expect to get your table made within two to three weeks, from the time the countertop company send its templators to measure your kitchen or bathroom. By industry standards, a one week (seven business days) turn-around time is considered excellent. There are a couple things that you can do to make this happen. 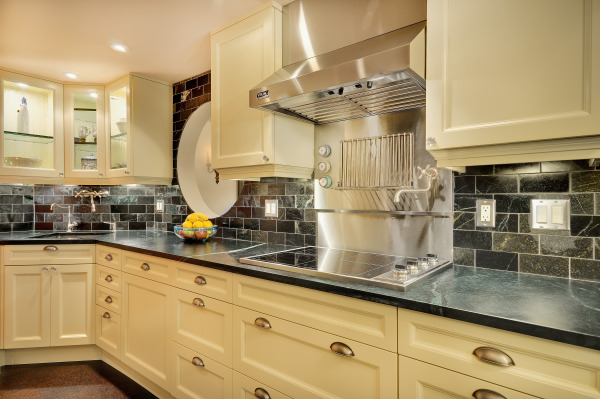 There are two scheduled engagements that you will be needed to be available for, the first is the templating appointment and the second will be for the actual countertop installation. The first appointment is important because it starts the production process. When the templators arrive at your home, make sure all the cabinetry are secured and installed in their final location. The templators will create digital blue print of your kitchen or bathroom. These are exact measurements that will require having your appliances and sinking to be present on site to be factored into the final dimensions of the countertops. Basically, if it affects the countertop, the templator will want to know about it. This initial meeting most likely involves a six hour window which factors in arrival time to the completion of the task. The second meeting will be the installation of your countertops and is the “home stretch” to the completion of your revitalization project. This appointment may require you to be at home for the entire day but consider this a small investment in time for a beautiful kitchen that will add enjoyment, value and longevity to your home. Ultimately, the more information you have at your finger tips, the less time you will spend on the little nitty gritty, and the better your shopping experience becomes.